V & T #18, "Dayton"
The DAYTON, named for the pioneer Comstock milling center on the Carson River, was built for the Virginia & Truckee in 1873 by the Central Pacific Railroad's Sacramento Shops. Costing $15,249, there never was a more handsome locomotive than number 18. With its deep red-brown color accented by highly polished brass and its bold lettering, the DAYTON carried an ornate set of cast builder's plates mounted between the 58 inch drivers. The 63-ton steam locomotive, which carried 2,500 gallons of water and about 3 cords of wood, first saw service in October 1873. 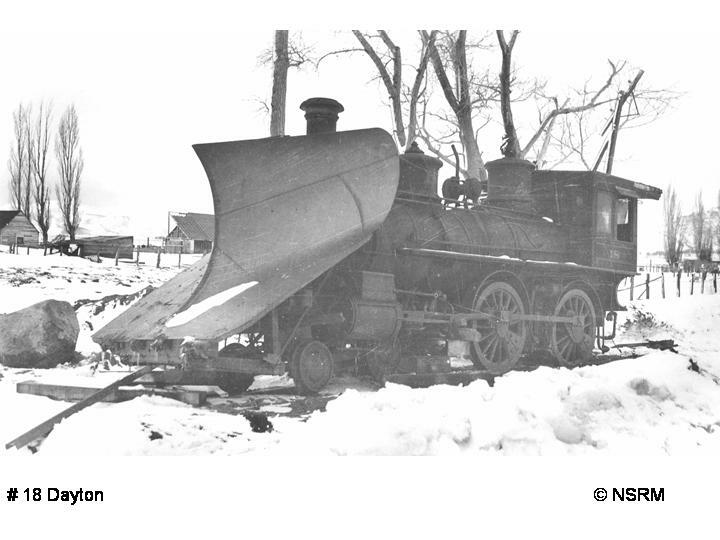 For a period of 65 years, the 4-4-0 performed quite well, especially when it was called upon to plow snow and ice off the tracks during winter storms. 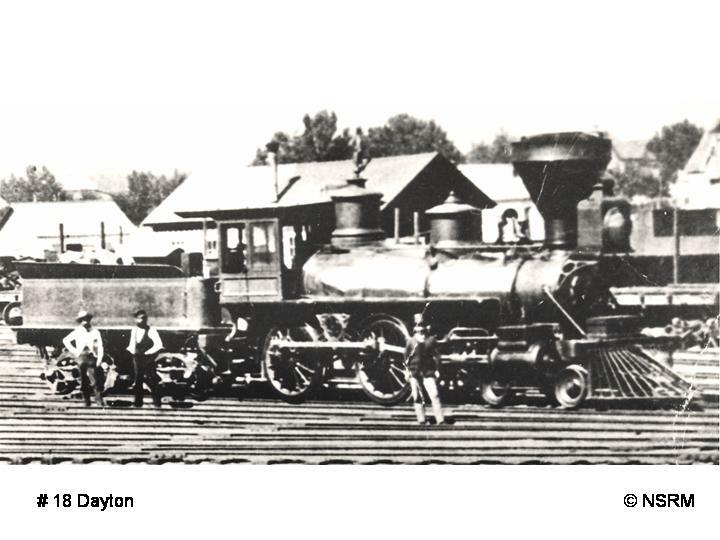 On the fourth of July, 1906, a gaily decorated DAYTON pulled the first passenger train over the newly completed Carson-to-Minden branch. Number 18 saw limited service thereafter due to the road's acquisition of more powerful iron horses. Paramount Pictures bought number 18 in 1938, after nearly 65 years of service, for a role in the film UNION PACIFIC. 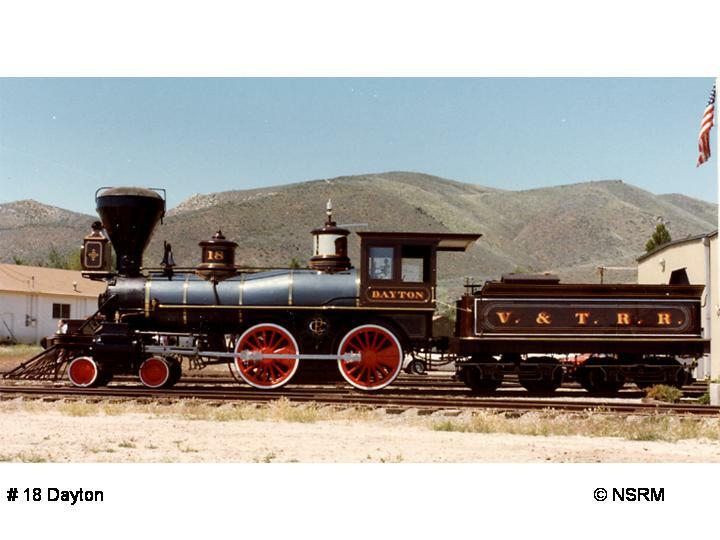 Over the next 3 decades, the ex-V&T engine appeared in many pictures, including HARVEY GIRLS and DUEL IN THE SUN. In 1969, the classic 4-4-0 was modified to represent Union Pacific engine number 119 for the Cold Spike Centennial celebration held at Promontory, Utah. The following year the DAYTON. together with the INYO. returned to the Gold Spike National Historic Site where they remained on display for nearly 9 years, Meanwhile, Paramount sold these 2 relics to the State of Nevada in 1974. 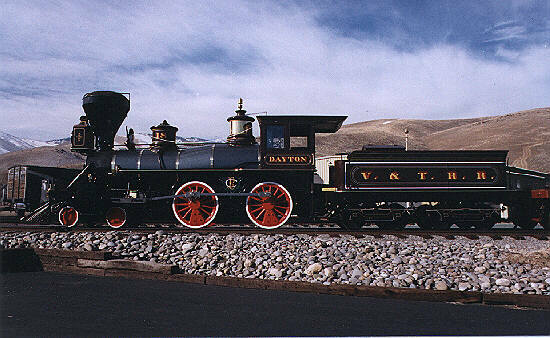 The DAYTON, together with the INYO, returned to Carson City in late 1978. 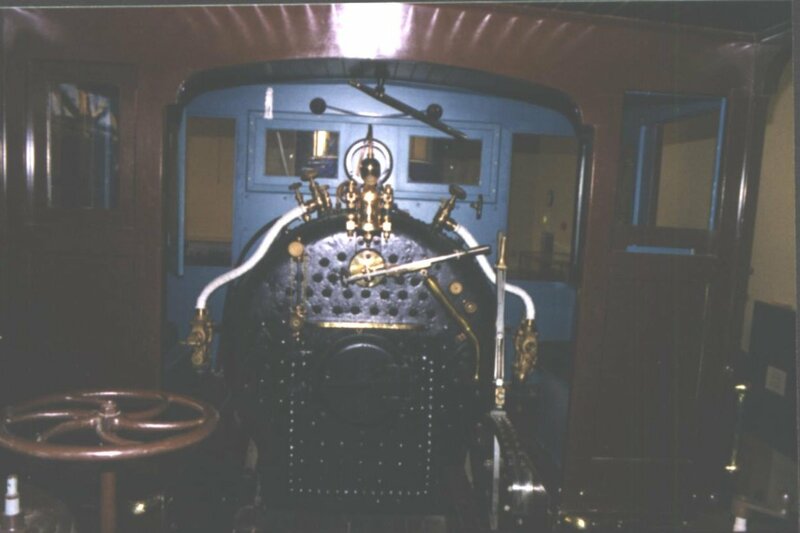 Shortly after the Museum opened its doors, a restoration feasibility study proved that the old weather-beaten C. P. built engine [the older of 2 still in existence] required a new boiler if it were to operate. It was decided, since investigation showed that the INYO was in far better condition to run again, the DAYTON would receive a cosmetic restoration to reflect her appearance in 1882. Thus a centennial of her rebuilding was quietly celebrated as the public viewed the restored DAYTON for the first time during the Memorial Day weekend of 1982. On September 15, 2005, the DAYTON was moved to the newly constructed Comstock History Center in Virginia City at the request of the Storey County Commission. Virginia and Truckee RR. Engine No. 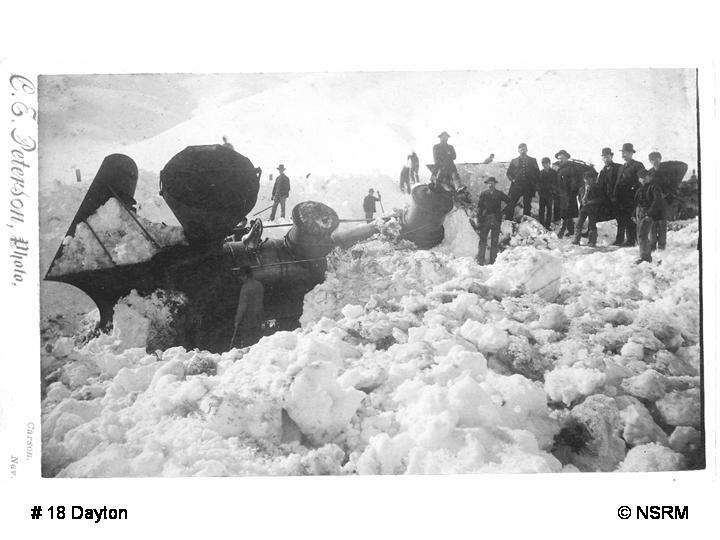 18, the Dayton, is currently on loan to the Comstock History Center at 20 North E. Street, Virginia City, NV 89440. 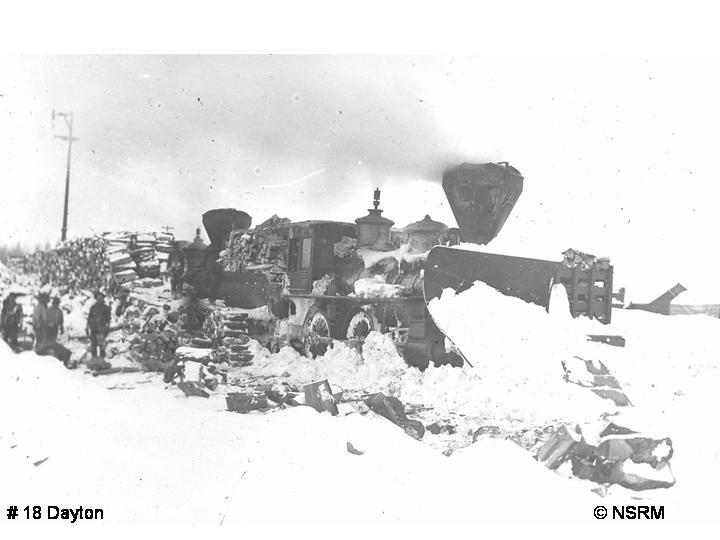 More information can be found in "The Restoration Feasibility Investigation on Virginia & Truckee Railroad Locomotives Nos. 18 "Dayton" and 22 "Inyo"" Dated October 1979 is available from the Museum Store for $29.95. Please call (775) 687-6953 to order.